A few days ago, I snuck in a final big climb before the snow arrived in the Alps. Le Semnoz is the huge Massif on the west side of Lake Annecy. The summit, Crêt de Chatillon, is the highest paved climb near Annecy. 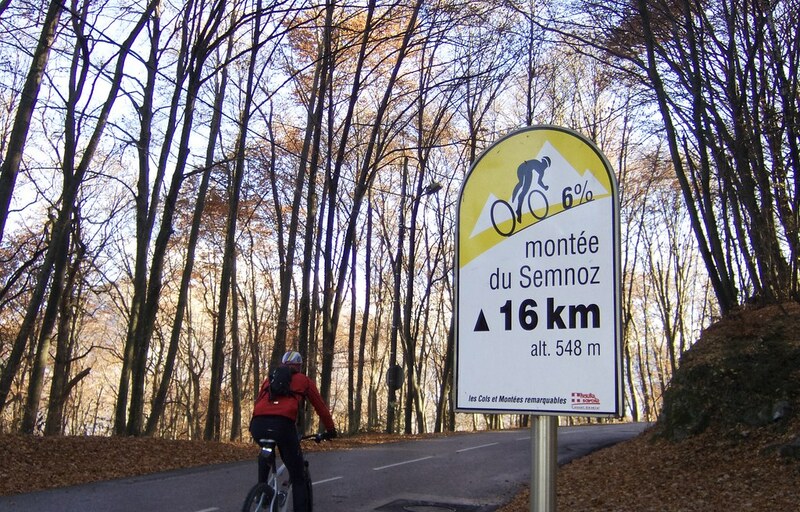 For a map, profile, and details of 5 road bike routes up Le Semnoz – see here. But this ride I would explore an alternate, often unpaved, route (see map below). I started near Annecy beside the lake, taking the direct steep route climbed by the Tour de France in 2013. 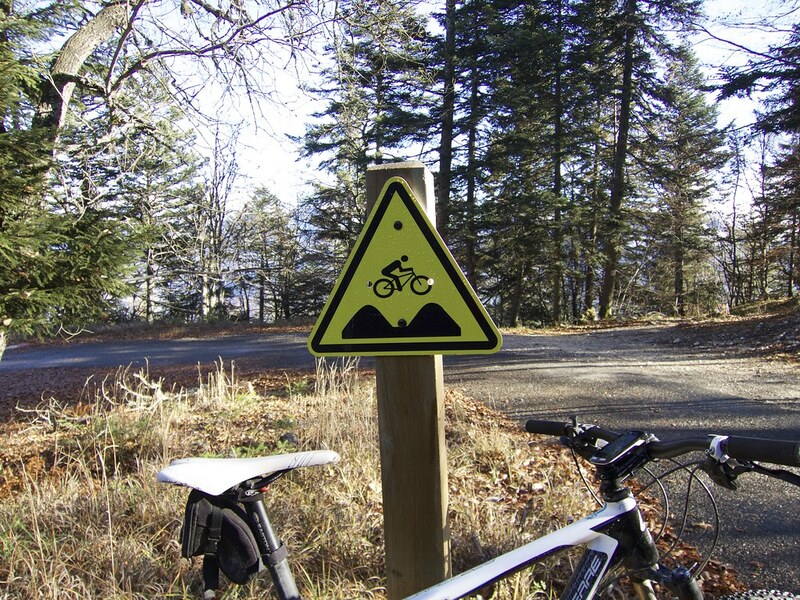 It’s a tough, 18 kilometre climb, mainly through the woods. After 8 or 9 kilometres, I left the main road and turned off onto some forestry roads. There are tiny forest roads all over this mountain but I would take the main alternative route. It is blocked to cars, narrow, occasionally very bumpy, although higher up, often well paved. Is this route worth it versus all the paved options? It’s quiet, challenging, and was something new. But realise there is rarely a glimpse of Lake Annecy or the surrounding mountains. 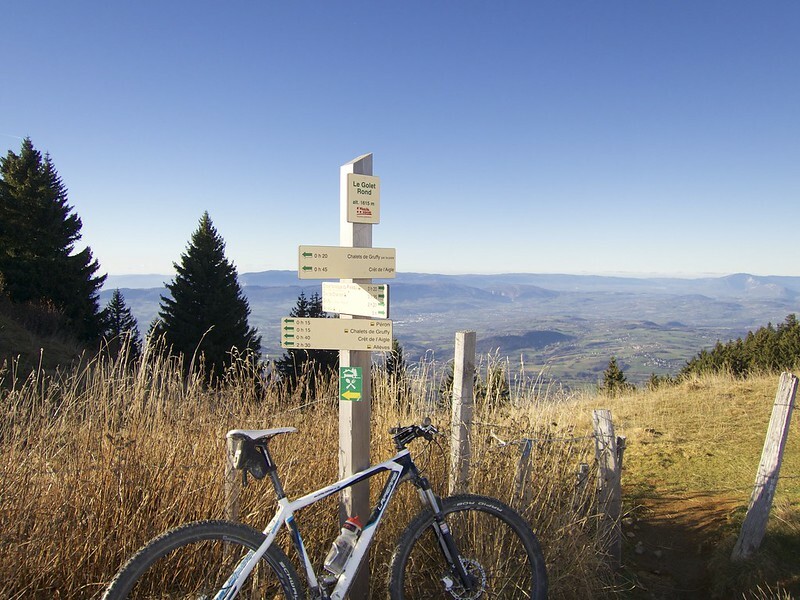 Personally, my favourite way up Le Semnoz is via St. Eustache to Col des Leschaux and then up the south side. I rejoined the main road a couple of kilometres from the summit. The summit is a little alpine ski station. There is also some excellent Cross Country Skiing. 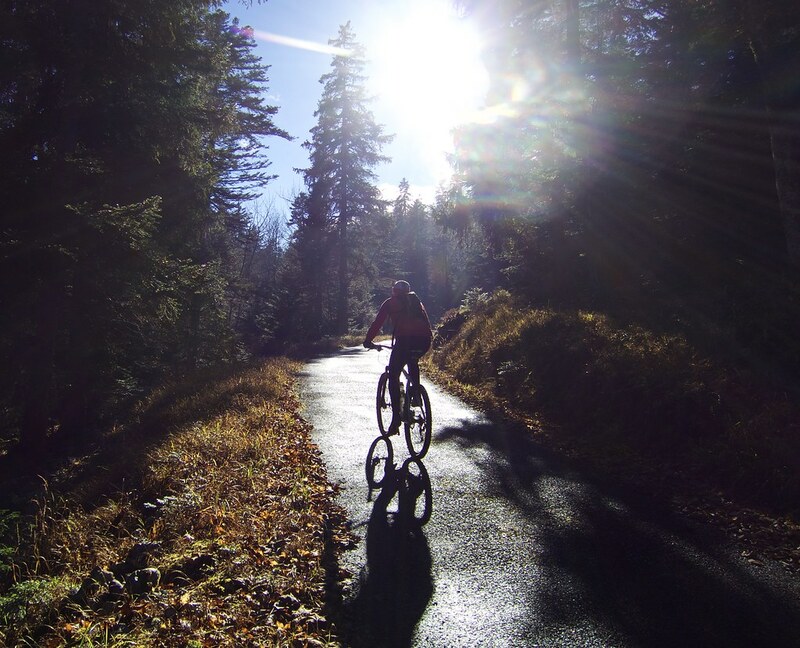 Last winter I cycled up and rented XC skis for some fun cross training – details here. Just beyond the summit at the second restaurant, there is an unpaved road that continues for a couple of open kilometres across the tree-less top. For Col hunters, this passes Le Golet Rond (1615 metres). It’s a scenic little detour. Along what becomes groomed cross-country ski trails in winter. I don’t believe there is an unpaved route down the back side that would be bike-able. So I doubled-back and descended the super quiet 24 kilometres down the south main road, all the way to Lake Annecy (via Col de Leschaux).